CPS Camp No. 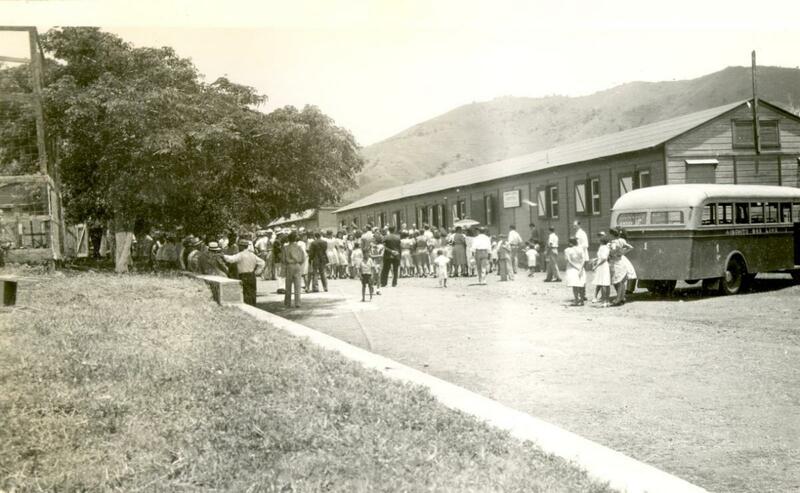 43 Subunit 1, located in Adjuntas, Puerto Rico, was operated by the Brethren Service Committee in cooperation with many local groups as well as with both island and U. S. government agencies that provided technical and other support. It opened in July 1942 and closed as a CPS unit in late 1946. 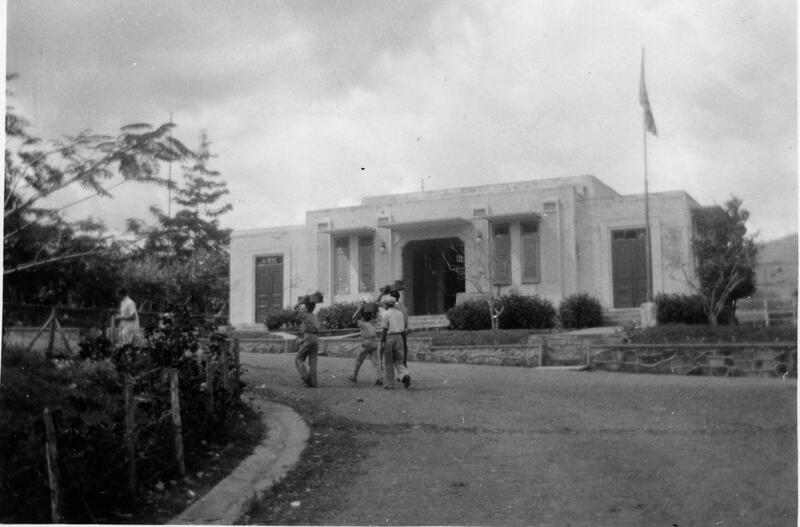 The men constructed a small hospital, developed a community center and operated programs in both. The Brethren continued medical and social services after CPS ended. Located in a thickly populated and mountainous area in the coffee growing west central part of the island, Castañer was chosen as the initial site because of its dire need for medical services. Lares, a town seventeen miles away had one seventy--year-old doctor, while Adjuntas, thirteen miles in the other direction had none. Thus some forty to fifty thousand people were served by one doctor and a nurse at Castañer. 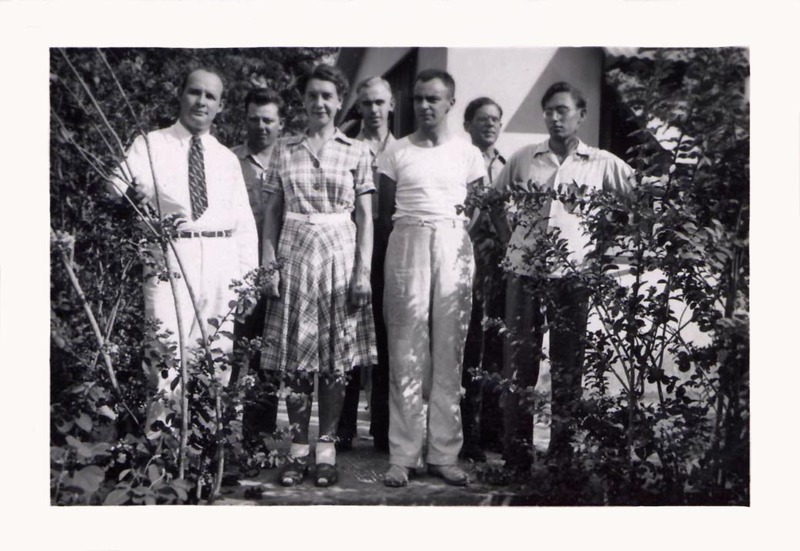 Since many men in CPS had expressed interest in relief work, the Brethren Service Committee explored work in Puerto Rico with the National Service Board, Selective Service and government agencies. On the poverty stricken island, many Puerto Ricans spent most of their income on food. Malnutrition, poor housing, and inadequate public services contributed to a high rate of tuberculosis, hookworm and other intestinal diseases. 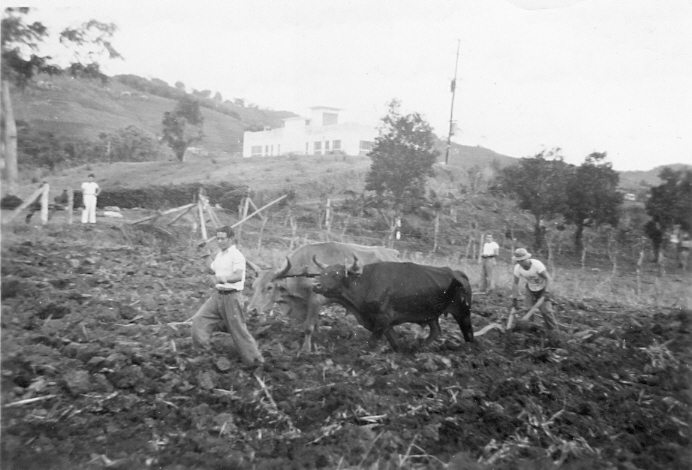 President Roosevelt set up the Puerto Rican Restoration Administration (PRRA) in 1935 to attack these problems. 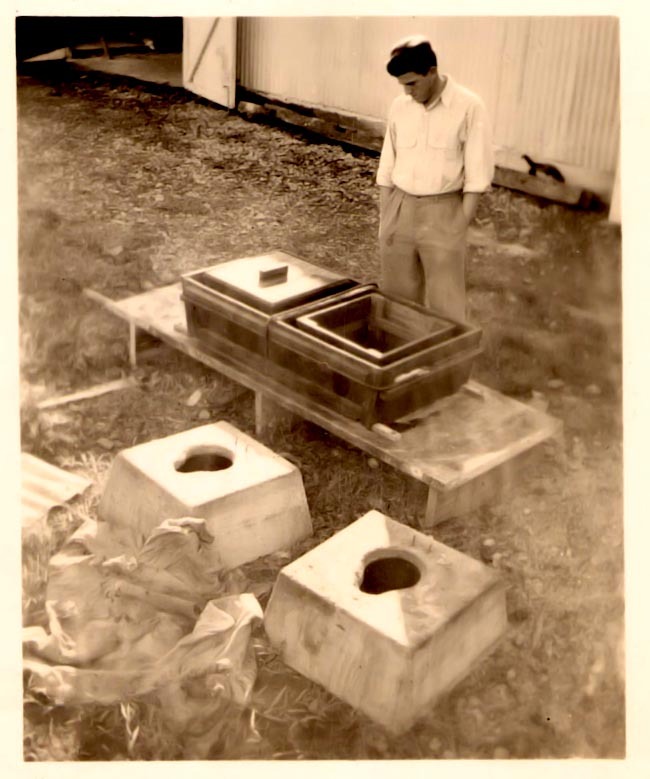 PRRA had purchased large individually owned farms and subdivided them into units of one to five acres on which they built low cost, but hurricane resistant homes. They then sold them to farm laborers on a long term payment basis. These homesteads, located adjacent to a large central farm and a community center, provided much needed housing and access to work and services. Due to insufficient funds, the project cut back services in 1942. The Martin J. Brumbaugh Reconstruction Unit addressed the community program of medical care, public health and social service. I was named for one of the state’s highly respected residents who had been president of Juniata College in Pennsylvania and professor at the University of Pennsylvania before being named in 1900 by President William McKinley as the first commissioner of education in Puerto Rico. This cooperative enterprise between PRRA and the Brethren Service Committee grew into collaborative effort including the Friends and Mennonites under Brethren overall administration. Four units developed, each project directed largely by its own local staff. The Brethren operated Castañer and St. Thomas, the Friends oversaw Zalduando, and the Mennonites LaPlata, each in cooperation with the Brethren on issues of overall relationships with PRRA and common work in the units. All worked effectively with each community as well as government agencies to introduce programs that sustained funding by the Insular government at the conclusion of CPS. The Brethren and Mennonites continued their relationship with the projects after CPS ended. Eleven men constituted the original unit at Castañer. With gradual personnel additions, by the summer of 1943 the unit had grown to eighteen and by the following year to twenty-five men. Some were married. The project placed its early emphasis on constructing a small hospital by remodeling an old barrack style structure. The renovation included installation of concrete piers for the foundation, leveling floors, interchanging wall sections, erecting partitions, overhauling the electrical and plumbing systems, constructing cabinets prior to painting the structure inside and out. The PRRA supplied the materials and the unit men completed the work. 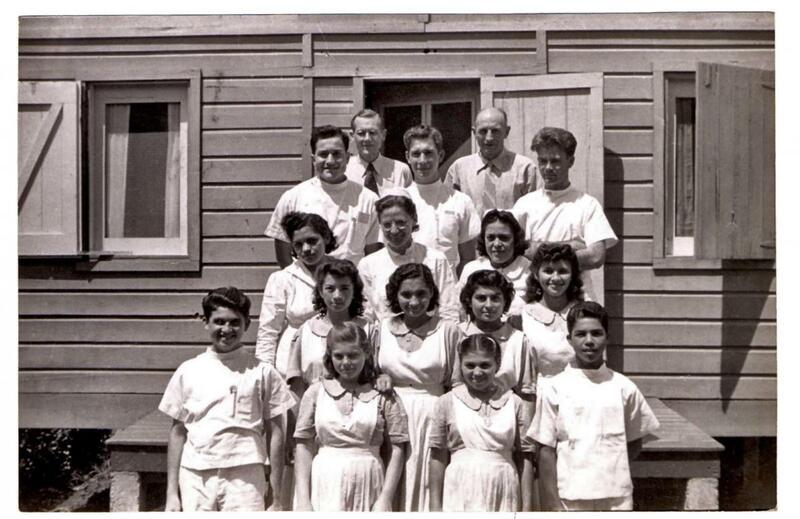 The building included a large kitchen, dining room, operating room, obstetrics room, wards for men, women and children, doctor’s office and X-ray room. The facility also housed a diagnostic laboratory set up by one of the CPS men so the hospital could service the community and also other rural dispensaries. An ambulance sent from the United States made it possible to provide service to the area as well as to hospitals on both the north and south coasts. The community center program grew with the addition of a recreation program, courts and equipment. The unit organized a small public library with Spanish language books on loan from San Juan as well as a movie series. The center housed community meetings, and later supported clubs for boys and girls, crafts, classes in English, child care, and carpentry. Then summer camps for boys and girls began. In the next year, the project added a medical dispensary in Rio Prieto several miles from Castañer. Each Saturday a hospital group delivered services (medical examinations, prescriptions, dental extractions) as well as provision for ambulance service, lab exams, hospitalization and surgery at Castañer as needed. 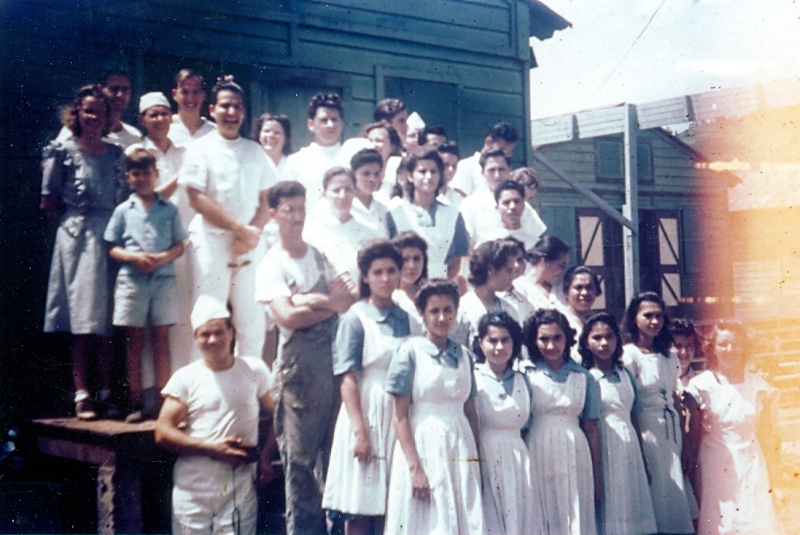 In addition to the CPS men, medical doctors, nurses, others with professional training, wives of unit members, and native Puerto Ricans staffed the project so that the total personnel numbered around sixty. This permitted the expansion of public health projects to include school and home visitations, health education, hookworm control and a tuberculosis survey. 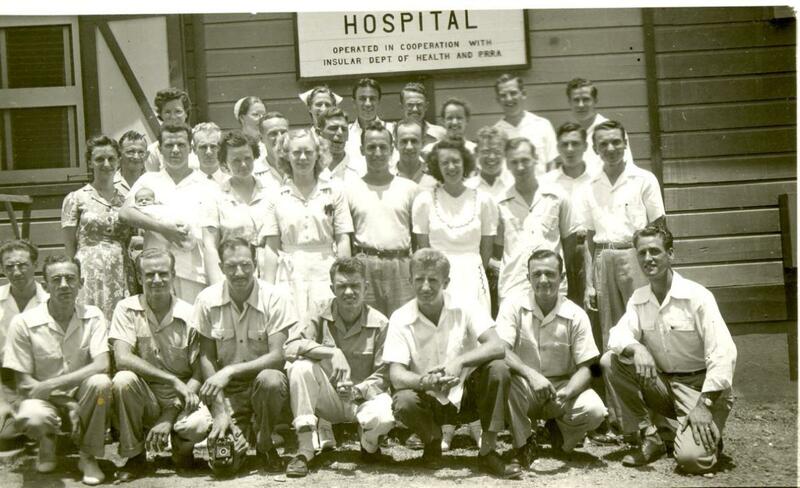 The hospital proved to be such a successful model for rural health care delivery that in 1945 the Insular Legislature approved $20,000 to be used towards its operation. J. Kenneth Kreider reports that one of the CPS men, Caleb Frantz, who first worked as an orderly in the men’s ward, was later trained to assemble surgical instruments and supplies, and eventually learned to serve as an assistant in surgery and the delivery room because of the shortage of trained nurses. Frantz told Kreider this story of a memorable delivery. 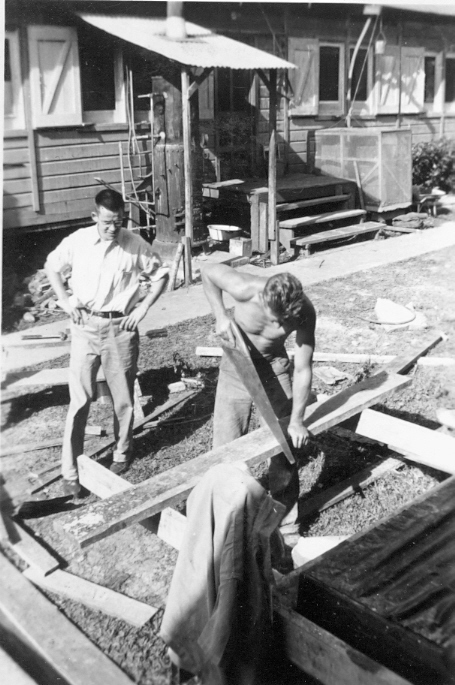 Throughout the life of the unit, men performed construction and maintenance work on buildings, remodeled and repaired equipment, creatively using whatever materials were available. 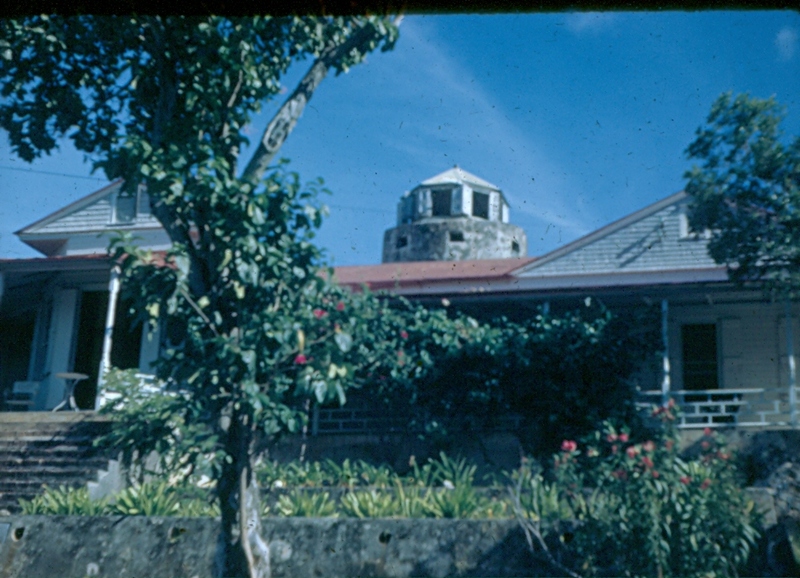 In 1976, the Brethren Service and Church of the Brethren, as had been the original plan, turned the hospital over to the local board of directors. The men drew little distinction between “unit life” and “unit work” as communities of interest found expression in the service rendered. Almost all of the unit study related to the challenges faced at Castañer, and included courses in first aid, history and social problems of Puerto Rico, Spanish, public health and hospital procedures. 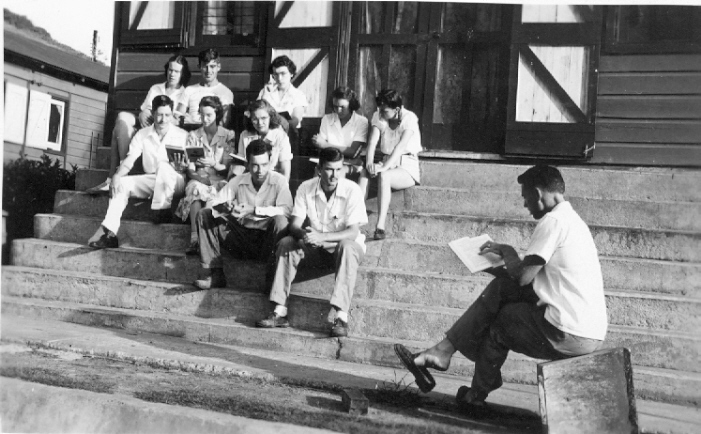 Members studied Spanish individually throughout the duration of the unit. In the early months, the members worshiped together in Sunday evening meetings. Later, members gathered for group worship in the mornings. Some took an interest in the local Puerto Rican services in Spanish. According to Eisan, group loyalty usually overcame the frustrations of wartime transportation and communication, shortages of supplies and personnel to meet the needs of the people (p. 357). The group experienced personal tragedy and sorrow in the death of three unit members—Elmer Hartzler, Elzie Ray Holderreed, and Isaac Harvey Horner. Hartzler drowned while swimming in May 1943, Holderreed died during his service, and Horner soon after returning to the mainland. The Newsletter/Puerto Rico Newsletter, published in summer 1943 through January 1944, reported on activity of all the units included in the Castañer Project of the Brumbaugh Unit. The men published Castañer Newsletter from April 1944 through November 1945. The project and the newsletter continued on after CPS ended. See J. Henry Dasenbrock, To the Beat of a Different Drummer. Winona, MN: Northland Press, 1989, pp 83-160. For more information on Castañer and the other units working with the PRRA, see Leslie Eisan, Pathways of Peace: A History of the Civilian Public Service Program Administered by the Brethren Service Committee. Elgin, IL: Brethren Publishing House, 1948, Chapter 11, pp. 333-359. See also J. Kenneth Kreider, A Cup of Cold Water: The Story of Brethren Service. Elgin, IL: Brethren Press, 2001, pp. 26-32. Nathan F. Leopold, Life Plus 99 Years. Garden City, NY: Doubleday, 1958.